It is a naked PCB I used to build a 12VDC 1.8A regulator based on the LT3757 chip from linear technology. This setup has been tested and approved. 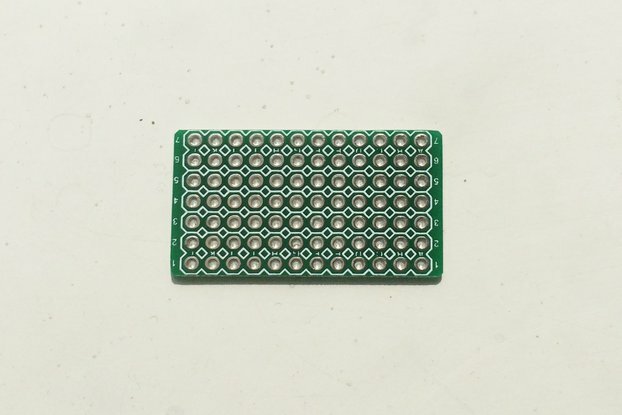 Other configurations around the LT3757 device can fit this board. In fact, the LT3757 is a Boost, Flyback, SEPIC and Inverting Controller that can accept a wide range of input voltages (2.9V to 40V). 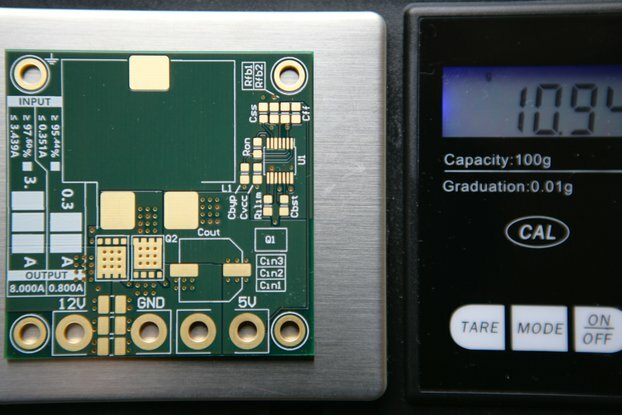 The board is 48mm x 24mm x 1mm. Components are only on one side. 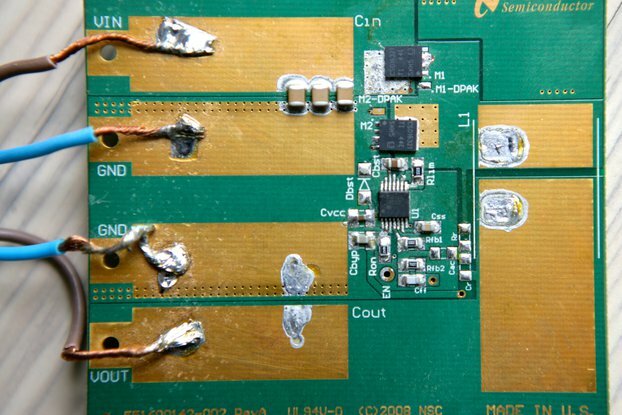 There is a large panel of copper on PCB for T°C dissipation. 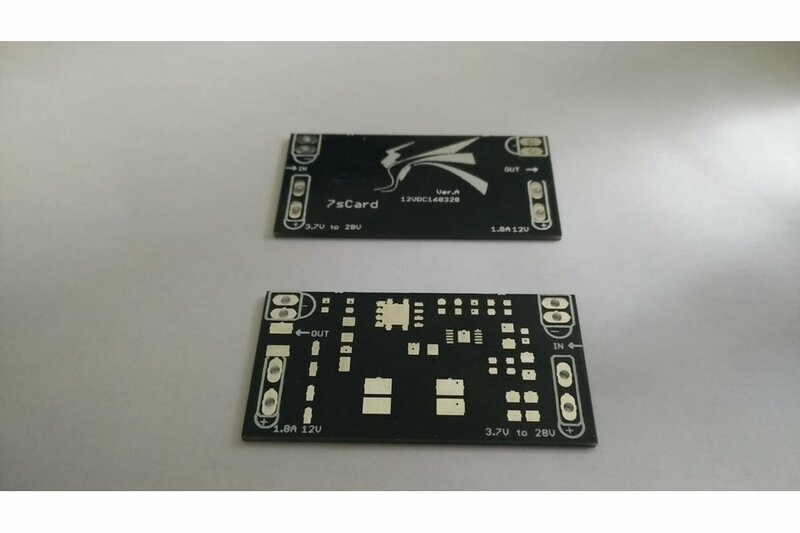 I did not find any light and efficient DC/DC card that can constantly provide an efficient and regulated 12VDC, for a FPV system on my flying wing, when the input was about 7V. On the board I have wrote voltages and currents with a great margin because I sell theses boards mounted has well and I like to keep a safe margin on my products. Spice simulation, tests and BOM are available on demand, please feel free to ask.